Southern California’s hyps are preparing to release their new EP feed in September. 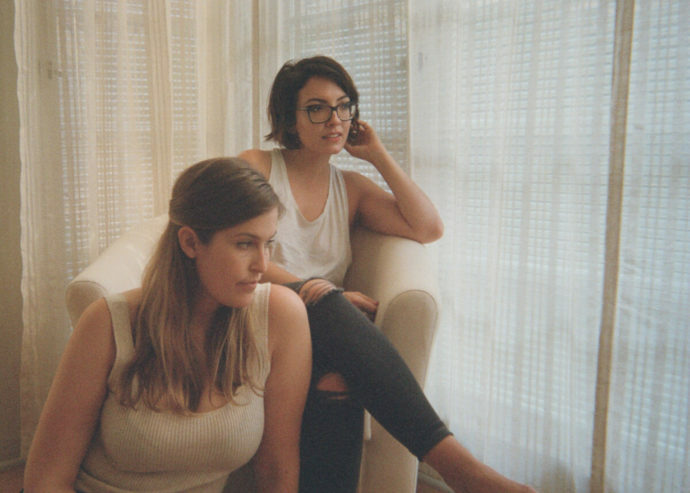 Surviving the Golden Age is excited to premiere their single, “Los Feelings.” The all female duo of Keena Batti and Molly Falck mix tight vocal harmonies with elements of folk, bossa nova, and jangle pop. The strumming of the mandolin is a constant but flourishes of snaky reverbed guitar culminate in a great guitar solo with backing “do-do” vocals. With the instrumentation and harmonies are lush, the lyrics are impressively confessional. Falck says the track “is about longing for a bad relationship just because it’s familiar, mourning the loss of a partner while fully acknowledging that it was a bad match.” With details about sleeping positions worked into the lyrics, it feels very intimate showing that hyps are about more than vocals, they’re great songwriters.